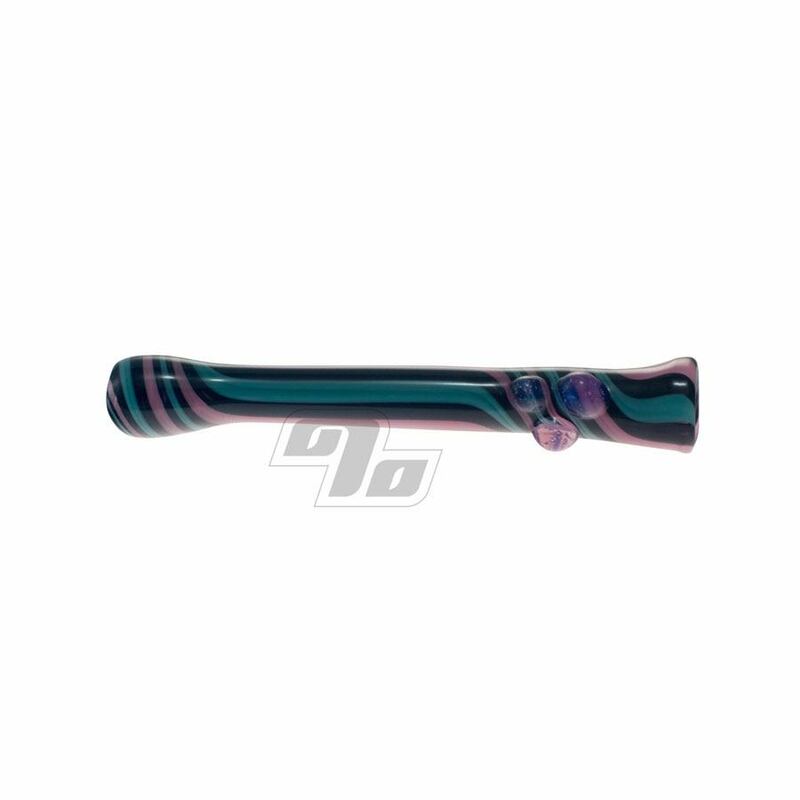 JEM Glass brings this super sweet Onie one hitter glass bat with sophisticated pink, black and turquoise line work. The length of this glass bat runs between 3 and 3.25 inches long and comes complete with colored roll stop to keep it from rolling off the table. As each glass one hitter is handblown and unique, it may vary slightly from the photo. Truly one of a kind.